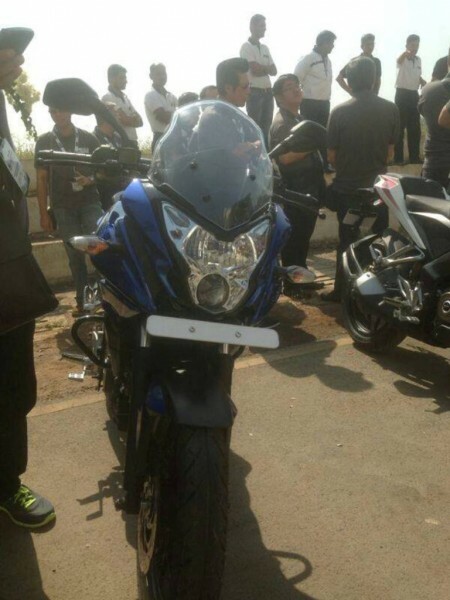 So Bajaj just launched the Pulsar 200AS and the Pulsar 150AS. No, I was not invited,so let’s make this clear , this is not a launch coverage article, so do excuse me as I do not have any live pics to show, pics included are from the pics that surfaced the net from Indonesia, :-P.
But nonetheless, I had been following the Webcast online and all I could ever think about was, Wow, this seems to be the updated Pulsar 220 that everybody including me was wishing for. I mean, just think of it, the Bajaj 220 is the most versatile bike you can get , it has power, looks, can handle almost any terrain. It was just close to being perfect. Yes , close to being perfect. If you remember I had written a pretty exhaustive review of my Pulsar 220 here, after clocking close to 80k kms on it within 3 years and being happy with it, I did feel it had a few shortcomings, there were a few places that I always felt that it could do with improvement, it handled like a boat in fast corners, weight was too forward biased, rear brakes were not so good, rear shocks were outdated , liquid cooling would have have been a good addition, and of all it sorely missed a 6th cog or the cruising gear. And I was one among the many people who wished Bajaj would come up with a revamped Pulsar 220, with better chassis for handling, better shocks, a cruising gear and so on. 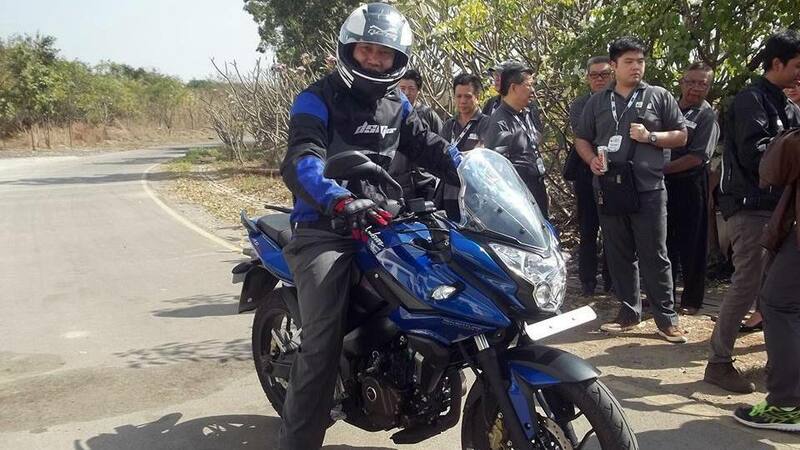 And what Bajaj has done is come up with the solution , in the typical Bajaj way, they have launched the Pulsar 200AS, which is essentially a NS with a semi fairing. Of course the NS was a good product, but it wasn’t as versatile as the 220, after all it was a naked bike meant for the streets. But let me tell you why I am excited about this one. Considering all the things I said the 220 lacked. Every single one of that the AS has.A much more powerful and refined engine of the NS compared to that of the 220, a great set of projector lamps for exceptional night time visibility, it shares the same perimeter frame as the NS, which by the way handles exceptionally well, better rear shocks than the 220 and a good looking semi fairing on it, well not as good looking or menacing as the 220 , but it is not dull looking either. I mean this really looks like the update the 220 needed, an touring bike which can serve as a perfect all-rounder. Now even though they named it as AS(Adventure Sports) but it lacks adventure spec tyres or higher ground clearance or any such features which make it fit for adventure sport/riding, I may not fully agree with how it has been named, but then I never did agree with the 200RS tagline or the Pulsar as a sports bike tagline, hey that’s the marketing sections headache, whatever sells well they will adopt. I couldn’t care less if they name the bike as Pulsar Lavender or Jasmine , all that matters is that the bike is good enough or not. And again Bajaj being Bajaj have placed it for a exceptional price range. The ex-showroom price of 200AS is set at Rs 91,550/- and the AS150 at Rs 79,000/-. But these are introductory prices and may get updated as the months roll along. Well, to conclude all I can say is that , the 200AS has the potential to turn out to be the most versatile bike in the Indian motorcycle scene for the next few years. A more in-depth analysis on the AS and how it performs will be possible once the bike are available at the showroom for testride. Thanks for sharing your experience with us. It is very helpful. The old Pulsar indeed was a true Icon..! Personally still my favorite pulsar, but I do welcome the new features that the older versions did not have.